In an ideal world, our pets would be able to accompany us wherever we go, but unfortunately, this isn’t the case. So when you have to rely on pet boarding services, you want to know that they will be well taken care of so that you don’t have to worry about them while you’re away. Here at Southern Hills Veterinary Hospital in Tulsa, we go above and beyond to make sure that they are comfortable and happy during their stay. Find out why you can trust us with taking care of your best friend and contact our animal hospital today to make an appointment. No matter if you’re heading away for vacation, work, or family activities, you don’t want the well-being of your pet to be on your mind the entire time. So, what are your options? Some people decide to hire a pet sitter online, but how do you know if this person is reliable or not? Your pet is your companion and you don’t want them being watched by just anybody. Other people have family or friends watch their pet while they’re gone, but this can be an inconvenience for them, and if an emergency were to happen they may be unaware of how to handle the situation. 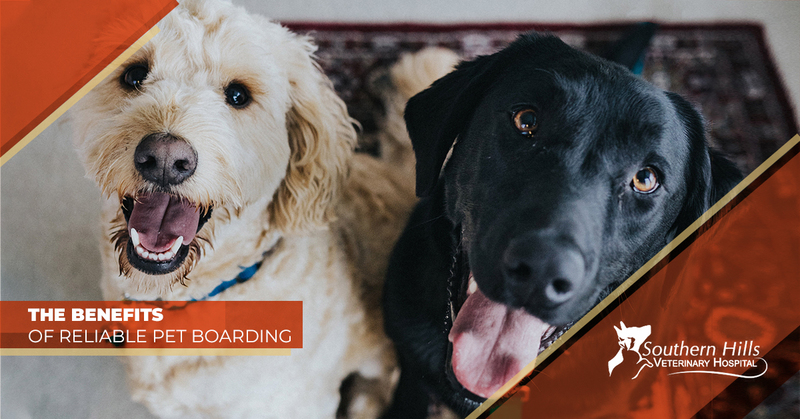 We understand that some places that offer pet boarding services have been found to be unsanitary, unprofessional, and to put it simply, a bit depressing. But at our animal hospital, we truly care about the pets that we see and make sure that they are comfortable. Our veterinary staff ensures that the boarding area is kept as clean as possible, the kennels are air-conditioned, and we keep the animals under constant supervision. You can rest assured that your furry friend will be in the most caring, and capable hands in Tulsa. 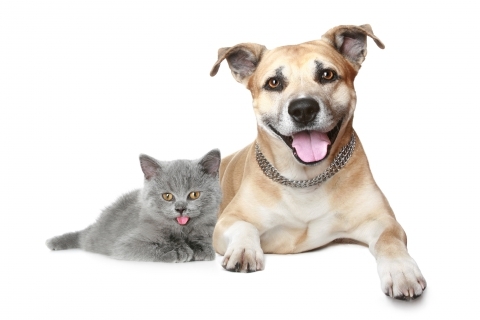 When your pet stays with us, they will have around the clock access to our veterinarians. If your dog or cat is currently on medication or is suffering from a health condition, our highly trained staff will provide them with the medication that they need and keep an extra close eye on them to make sure that they are in good health. By knowing that we are here, day and night, for your pet also means that in case of an emergency, your dog or cat will immediately get the help that they need. No need to worry about your pet being put in a kennel and not getting out until you come retrieve them. They will get two walks a day as well as socialization time so that they don’t get bored and are getting the exercise that they need to stay happy and healthy. We also make sure that they have plenty of water and are getting their necessary amount of food. If you’re planning on using our pet boarding services, be sure to bring in your pet’s preferred food. If you forget, no worries! We provide Royal Canin pet food for our furry guests that don’t have their own food. To make your pet even more comfortable during their stay at our animal hospital, we recommend bringing their favorite toys, treats, pillows, and a blanket. We know how tough it is to leave your dog or cat behind, but when you decide to use the pet boarding services at Southern Hills Veterinary Hospital, you will have the peace of mind knowing that they will be taken care of by the most caring and knowledgeable staff in Tulsa. If you would like to learn more about the veterinary services we provide or would like to make an appointment with us, go ahead and contact our office today!